The Moody Law Firm, Inc. has successfully represented many victims and families who have been forced to deal with the impact of a traumatic head or brain injury. The Firm’s attorneys are familiar with the special issues and complexities that are involved in this area of the law, and draw on their extensive experience to represent their clients in and out of the courtroom. If you or a loved one has suffered a head or brain injury, The Moody Law Firm, Inc.will provide you skilled legal representation in a caring, supportive environment. Traumatic brain injuries are a leading cause of death and disability in the United States for people age 1- 44. A traumatic brain injury (TBI) can result from various types of accidents or traumas. A common cause of TBI is the automobile accident, but a TBI can occur as the result of a slip and fall accident, a work-related injury, injury caused by a defective product, or any type of head trauma sustained in everyday life. The most common causes of traumatic brain injury are car and motorcycle accidents, falls, physical assaults, accidents, and sports activities. TBI’s affect one or more areas of the brain. They can be caused by external physical force. There are two types of traumatic brain injuries, closed and penetrating. A closed head injury is a TBI where the damage to the brain cannot be seen, whereas a penetrating head injury is a TBI where the wound to the head is obvious, due to an object breaking the skin. Either type of TBI can trigger a range of symptoms from mild headaches to seizures, coma, and even death. Emotional disabilities including depression, anxiety, post traumatic stress disorder, etc. 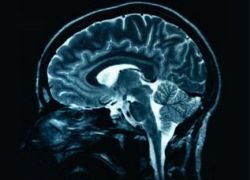 As the result of these devastating consequences, people who have TBI’s are often permanently disabled, and will require long-term medical care and rehabilitation. Beyond the physical disabilities, a brain injury can also affect the person's personality, memory, finances, work situation and personal relationships. A competent brain injury attorney can help you recover monetary damages, including financial compensation for medical bills, therapy and pain and suffering, loss of financial support, funeral and medical expenses, loss of inheritance, and if children are involved, the loss of nurture and guidance from their deceased parent. The Moody Law Firm, Inc. has successfully represented many victims and families who have been forced to deal with the impact of a head or brain injury. The Firm’s attorneys are familiar with the special issues and complexities involved in this area of the law, and draw on their extensive experience to get the results their clients often desperately need.